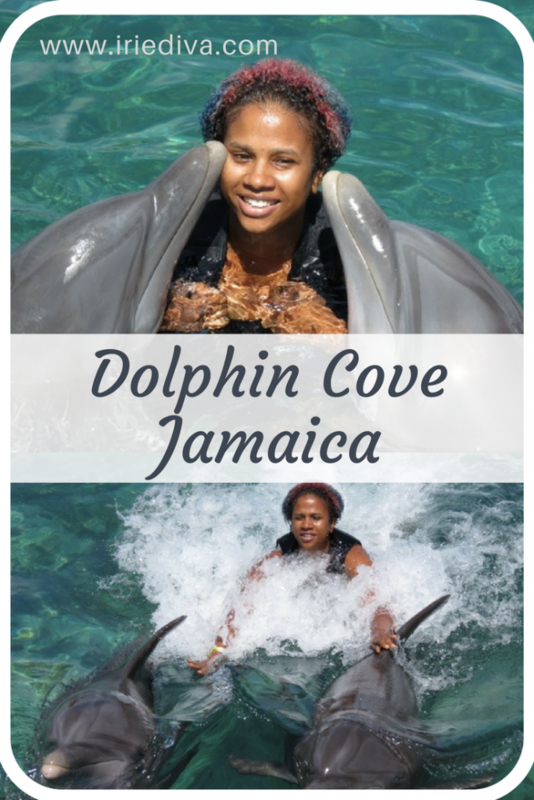 I had a fun-filled day at Dolphin Cove Jamaica courtesy of the Jamaica Tourist Board and I can’t wait to tell you all about it! 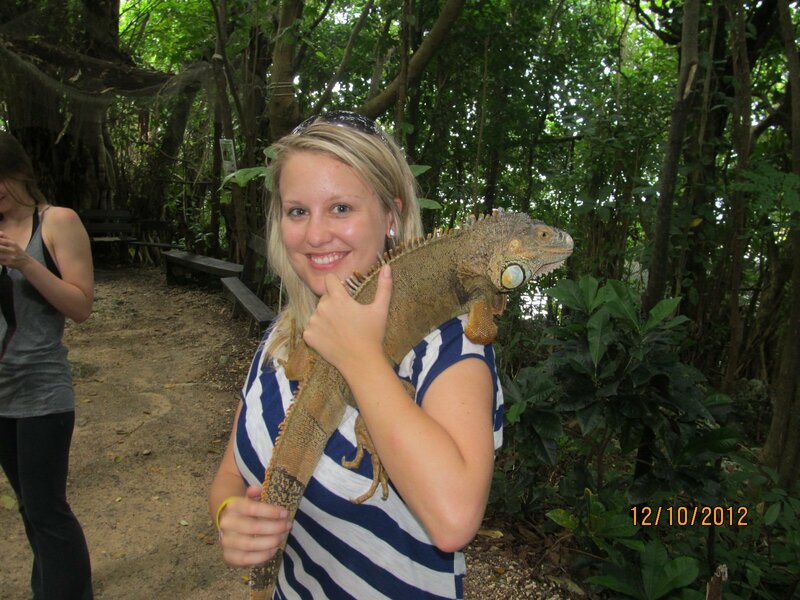 I also can’t wait to ggo back with my kiddo, she will lose her mind! 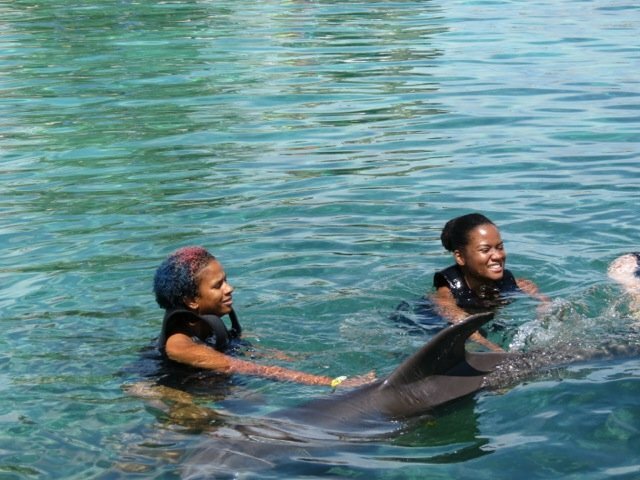 I met up with other bloggers from overseas for this adventure and we were treated to the full experience which saw us interacting with the dolphins in a number of different ways. 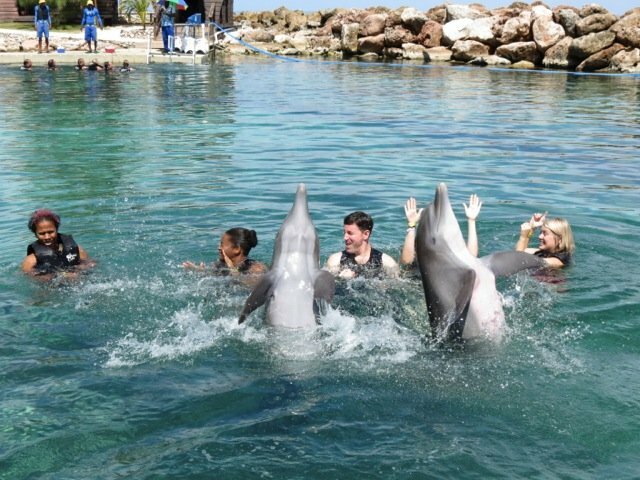 I admit I was a bit nervous to jump in with the dolphins, cute as they are, you just never know how animals will react to you. It really amazed me though just how much they are trainable. For them to receive a simple command and both swim up in perfect unison for me to grab onto their fins and go for a ride around the pool kind of amazed me. Their little dances and flips were awesome, but when it was time for us to be pushed flying through the air by them? I was floored. 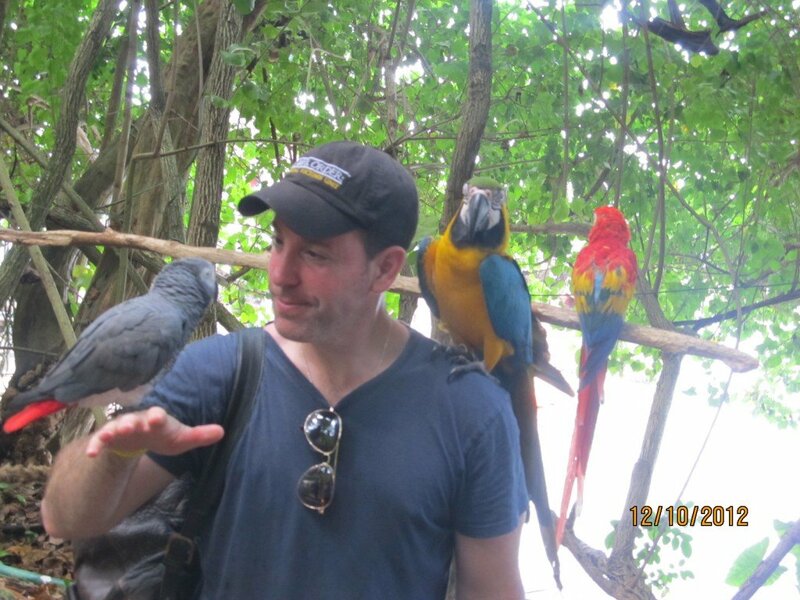 The trainers tell you to float on your stomach and keep your knees straight, then they swim up, put their beaks on your feet and push you up into the sky. A couple people went ahead of me so I knew what to expect and how I wanted to position my body to make the most of it. 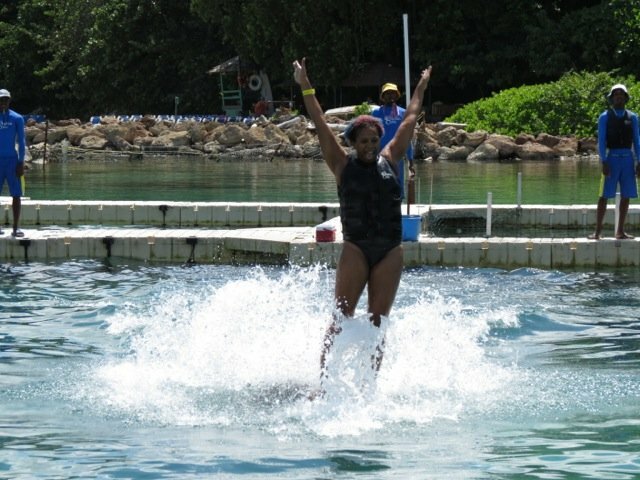 I made the decision to just go for it and fly high when it was my turn to go. 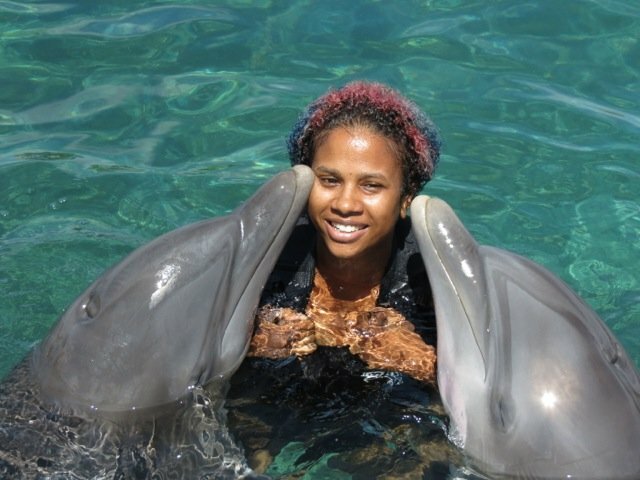 Being extra close and kissy with them was a little weird and a little scary, but it was all good and a fun experience. 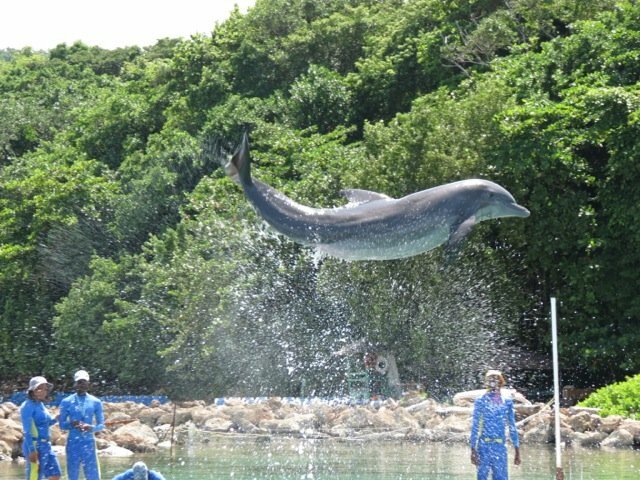 Get Married at Dolphin Cove? 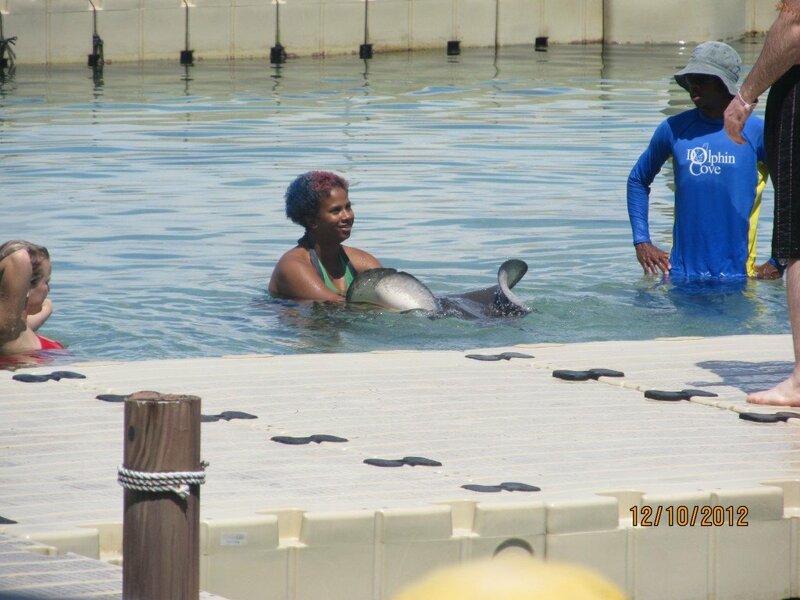 One of the dolphins brought a lady in our group a box with what was supposed to be an engagement ring. It was just for a demo but wouldn’t that be a cool way to propose? And doesn’t this make a totally rad wedding picture? 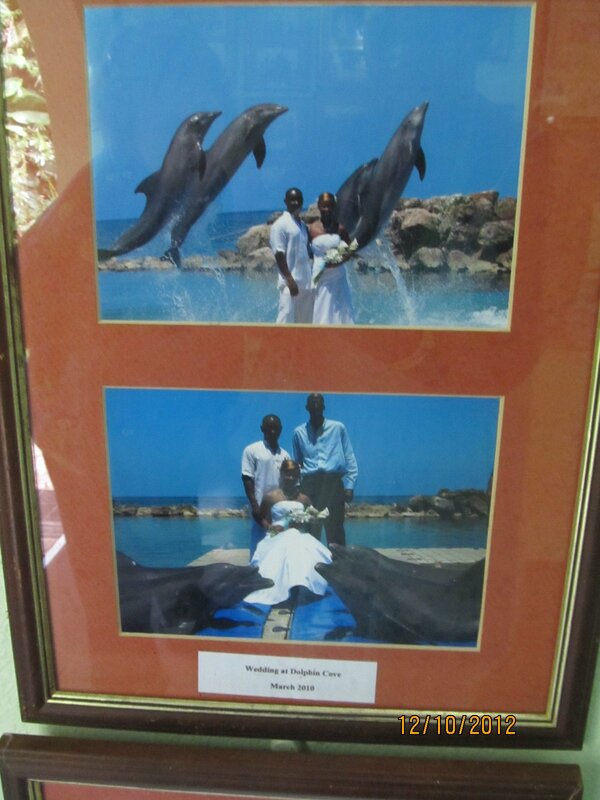 It’s a pic of a pic hanging in the Dolphin Cove Jamaica lobby. How’s that for a destination wedding? 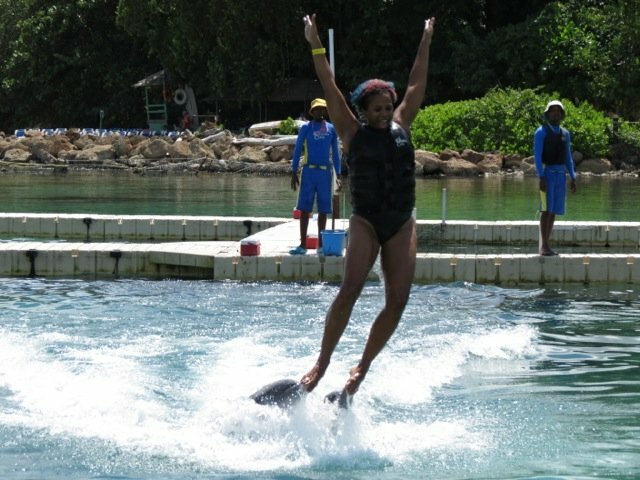 After our swim with the dolphins, we went for a tamer swim with some stingrays. Ugly, creepy little thing. 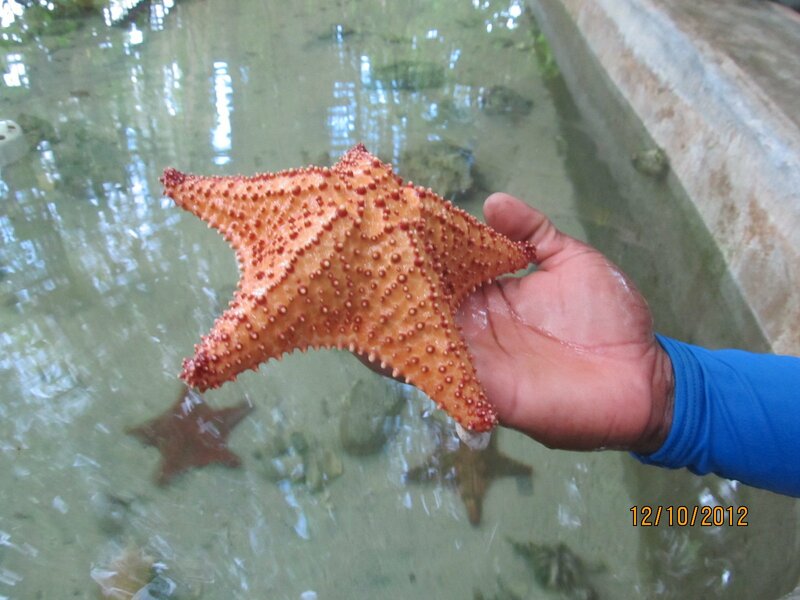 Nature always beautiful lol. I was a little freaked out but I played it cool. 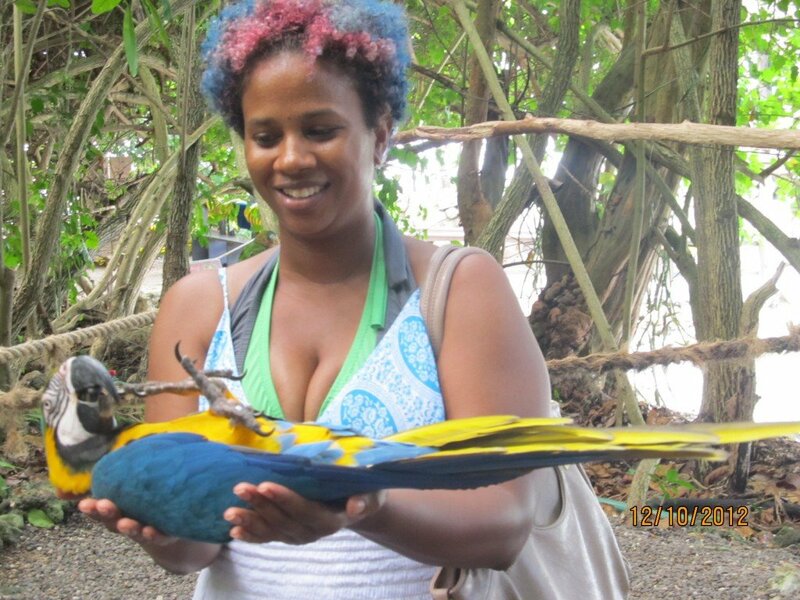 We had lunch which was some yummy jerked chicken (or burgers or chicken sandwiches, hot dogs etc) and then went for a walk on the nature trail. 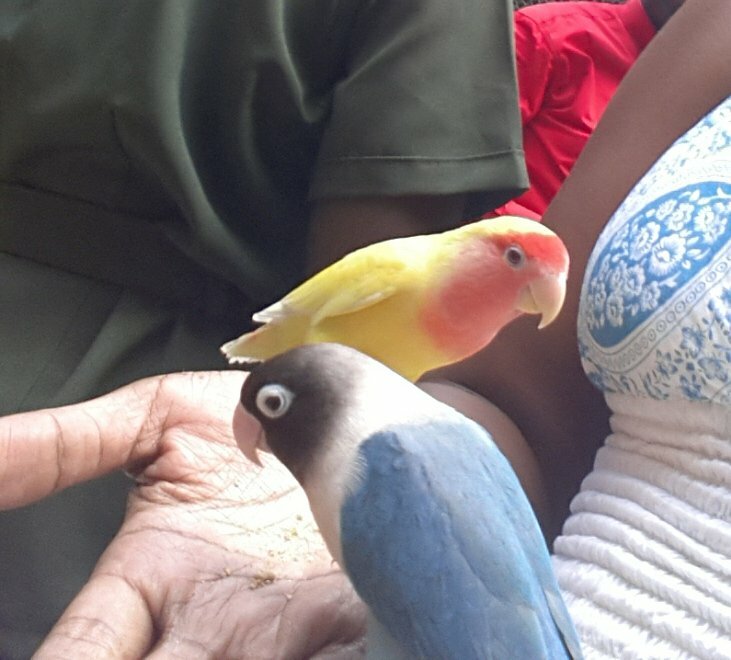 The lovebirds loved me. 😀 It got crazy in there! They were flying and pitching all over the place. 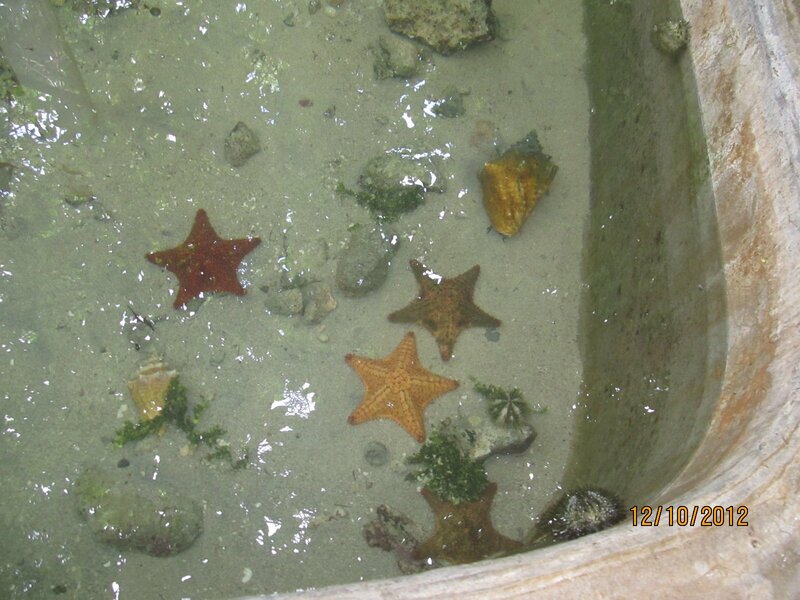 A touch tank with conch and starfish. 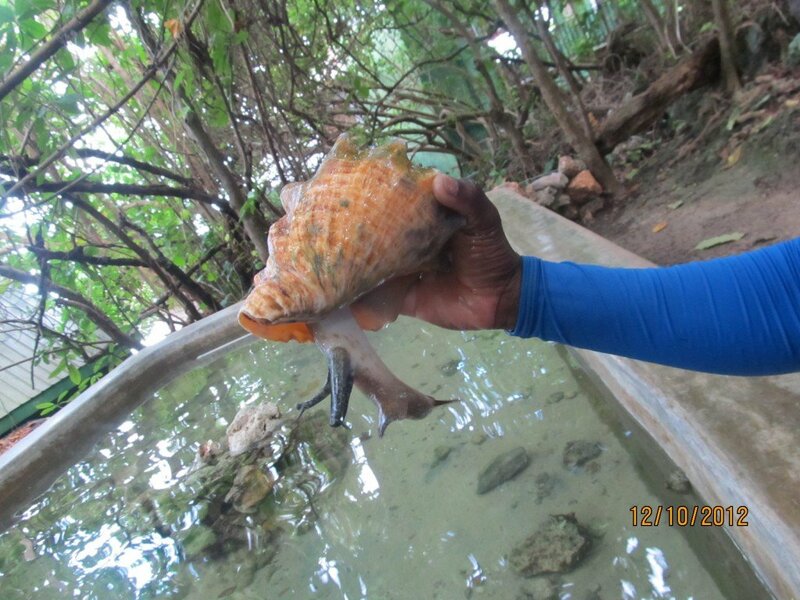 That conch picture absolutely grosses me out. How can y’all eat that overgrown slug? I scroll pass so quicly when I am on this page. I’m a wuss. 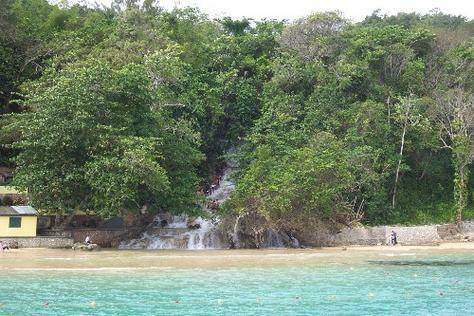 At the end of the walk, we went on a short boat ride out at sea and it took us past Dunns River Falls. I wish I had taken my camera but feared it would get wet on the little dinghy. I really need to get a waterproof cam. We also passed smaller falls with a little gazebo perfect for weddings which the boat operator said was once owned by a celebrity but is now owned by Sandals Resorts, though kept private and separate from the resort grounds. 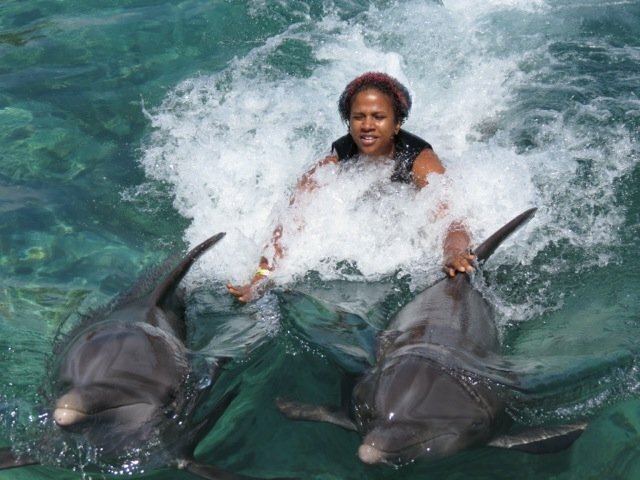 My day at Dolphin Cove was amazing! I have no idea how I found energy for Mystic Mountain after all that, but that was so worth it too. 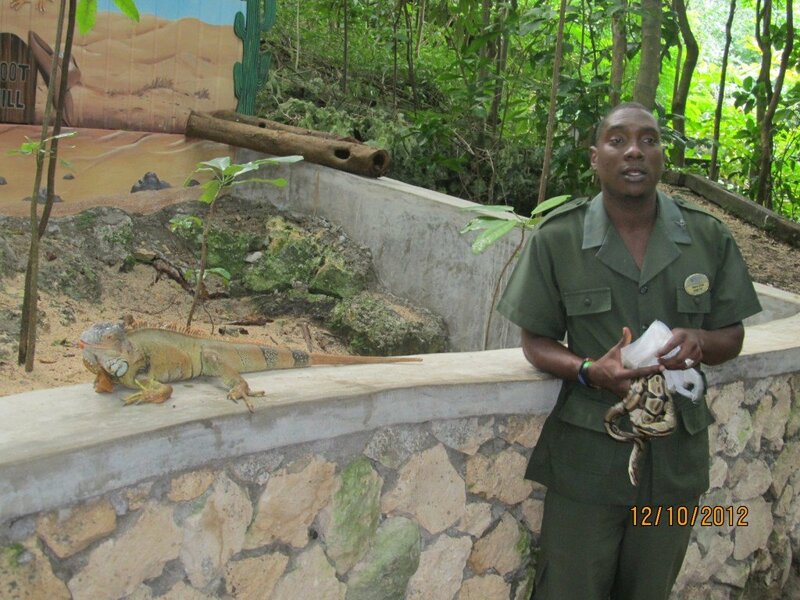 More pictures from the adventure can be viewed on the blog’s facebook page here. 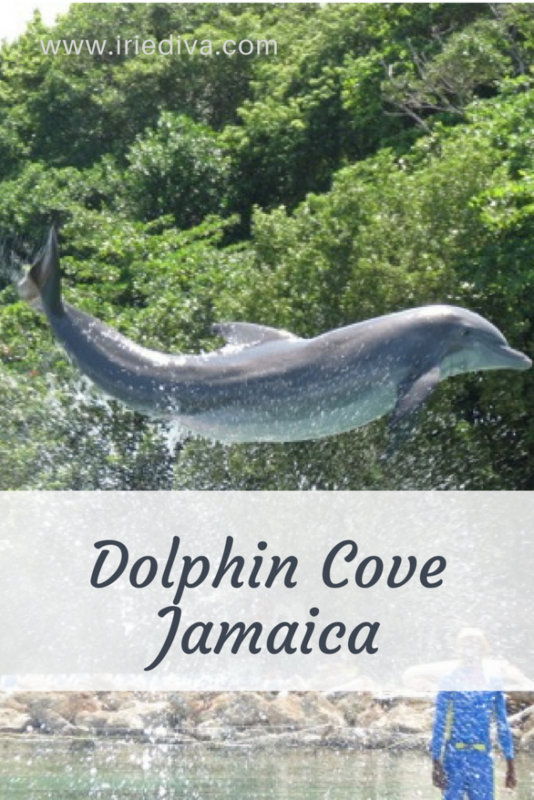 Have you ever been to Dolphin Cove Jamaica? How’d you like it? If not, have I convinced you to go?